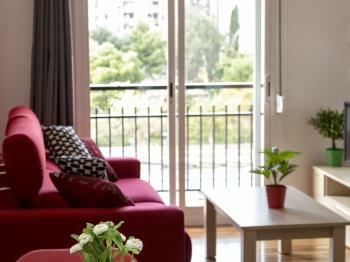 This fantastic apartment seduced by its warm colors and wood furniture in the large living room, a stylish decoration contributes to create the ideal atmosphere for relax after a long day touring Barcelona. 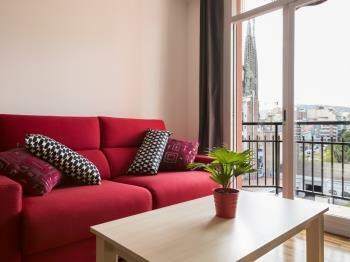 The balcony overlooking Sagrada Familia gives a natural light to enjoy the sunny city. 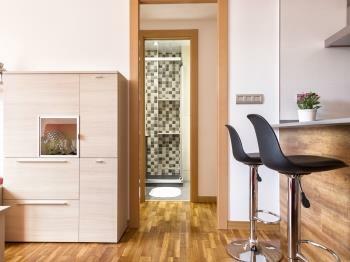 Spacious and comfortable apartment, it's a 6th floor with lift. Ideal for families and friends. 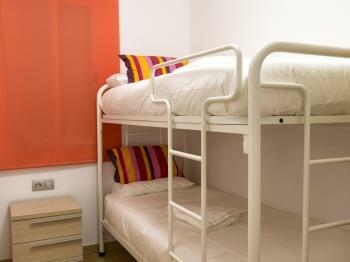 The flat is composed of two double bedrooms, one bedroom with bunkbeds and a fourth one with two single beds. There are one bathroom with shower and sink. A single toilet with a sink. 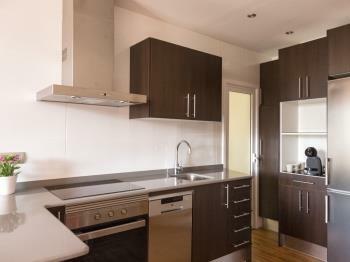 The kitchen is open on the dining room area equipped with all the amenities to enjoy succulent meals. 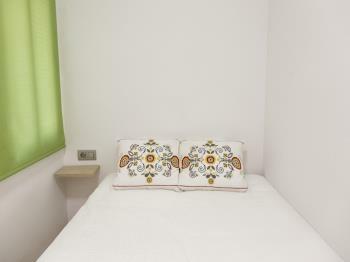 Guests can use all the facilities of the apartment: fully equipped kitchen, washer, dryer, internet access, linens, towels, etc. They can feel at home during your stay! 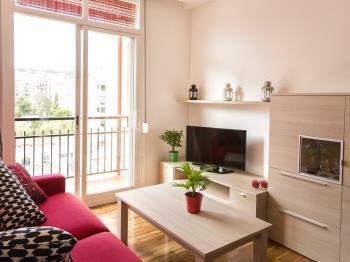 The apartment is located in the center of Barcelona, just 100 meters from the famous Sagrada Familia. Very quiet at night, surrounded by green spaces and close to all restaurants, bars, metro and buses. Perfect location allowing guests to walk to the tourist points of interest without any problem. 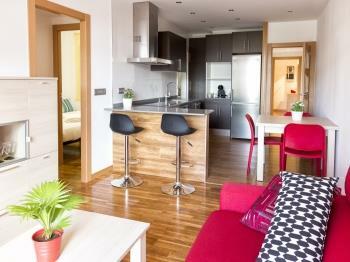 The apartment is located 100 meters from the metro (L5 and L2) and buses. -Take the Aerobus (6 /person, around 20 minutes) and stop at Plaza Catalunya, then take the metro Line 2 and stop at Sagrada Familia you have 2 minute by walk to get to the flat. 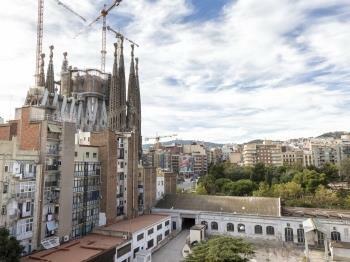 _You can also take the train (4 €/ person, around 20 minutes) from T2 or T1 and stop at Sants Estacio, then take the metro Line 5 and stop at Sagrada Familia.